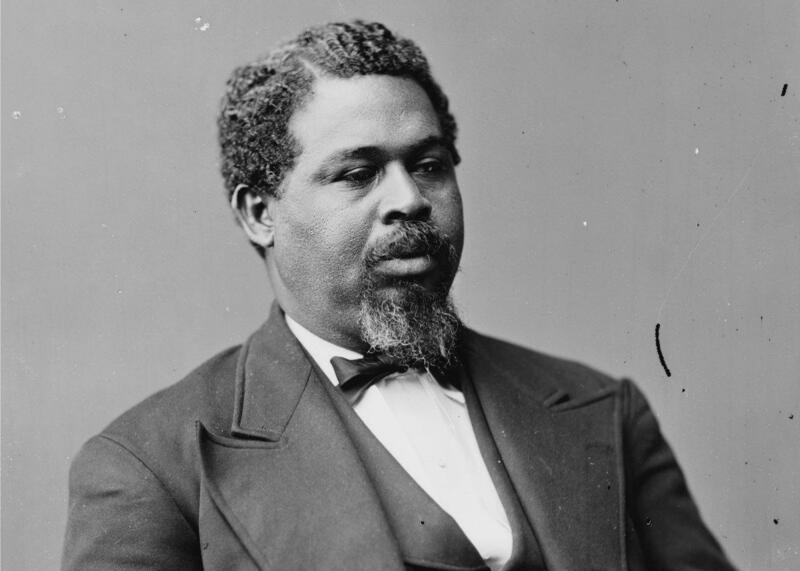 Robert Smalls, former slave who commandeered a Confederate ship gaining his freedom. 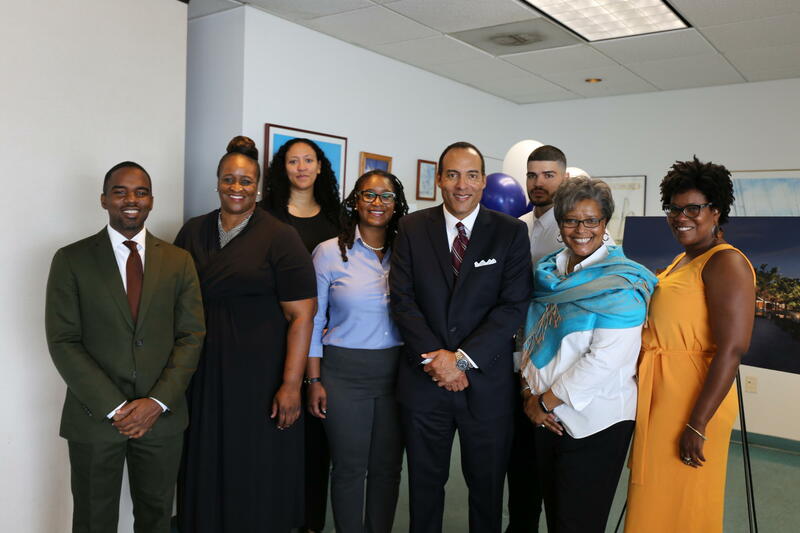 Listen: Micheal Moore, President and CEO of the International African American Museum, talks about its opening, the inspiration and his ancestry. In times of adversity, Moore says he's found strength in the life of his remarkable relative, as well as other determined men and women in his family. If they could persevere, he could too. 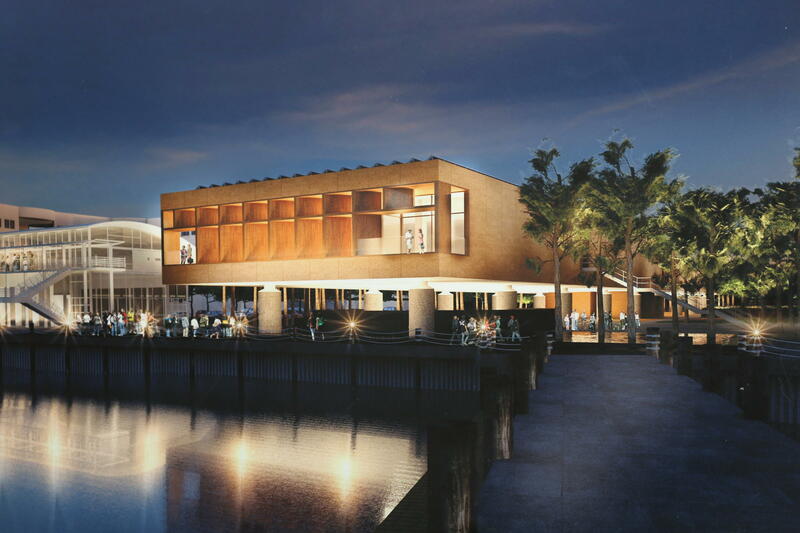 As the president and CEO of the International African American Museum expected to break ground this fall in Charleston, Moore certainly has a chance. He looks out a large picturesque window at the Maritime Center, the museum’s soon to be neighbor, overlooking the Cooper River as it greets the Charleston Harbor, a gateway to the Atlantic Ocean. He talks excitedly about plans for interactive exhibits and thoughtful memorials. Then, momentarily, he’s transfixed by several cargo ships pulling in. “It boggles the mind when you think about all that went on here,” he says. Here, is Gadsden’s Wharf, the site of the new museum. It’s where nearly half of all slaves were brought to this nation as human cargo. Men, women and children shackled and stacked on ships by the hundreds, were unloaded here, and later sold. 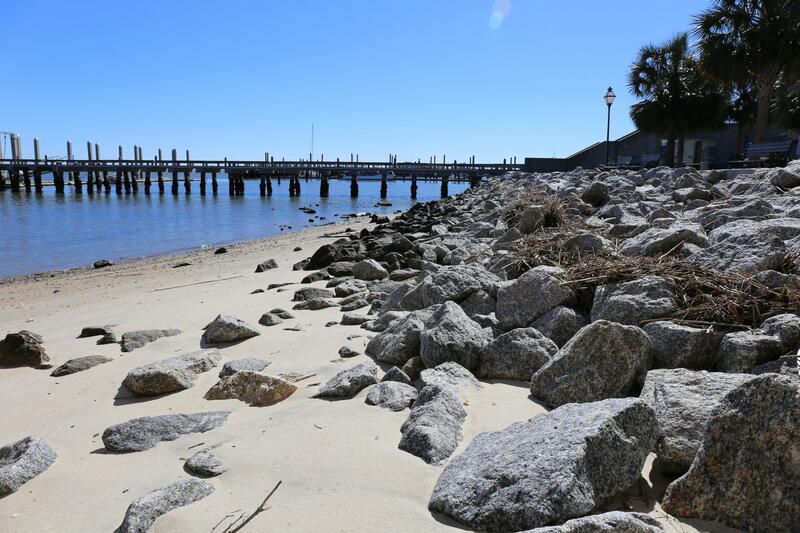 Historians believe nearly 90 percent of African Americans can trace their roots to Gadsden’s Wharf. Moore, for example, knows his great-great-great grandmother took her first steps here. An estimated 100,000 West Africans did the same between 1783 and 1808- the peak of the international slave trade. The International African American Museum hopes to put a face on enslaved Africans, honoring their sacrifices and contributions, at the site where they were stripped of so much. They were not only laborers, but craftsmen, architects and farmers. They had knowledge and skills. For example, many could cultivate rice, a crop that made Charleston extremely wealthy. Yet, their history in the Holy City, has remained largely untold. Acknowledging slavery is uncomfortable. Still, it’s a shared history in America. Moore was handpicked by former, long time Charleston mayor Joe Riley to lead the museum. It was his brainchild nearly 20 years ago. At times, there wasn’t much support. But what happened in 2015 at an historic African American church may have changed that. A white gunman police say wanted to start a race war killed nine black parishioners who had welcomed the stranger to bible study. Moore believes part of the problem is our country has never really dealt with the history and hard issues surrounding race relations. The museum will offer an empowering history many simply don’t know and it will have a social justice function, serving as a place for lectures and conferences, encouraging conversation. It will also feature a Center for Family History with genealogy professionals helping people piece together their ancestry for free. That can be especially difficult for African Americans because of slavery which broke up families and made record keeping nearly impossible. Moore wants the museum to not only honor African ancestors, but inspire children. It’s an experience Moore was fortunate to have within his own family, but one that comes with responsibility. Moore just wants to get the museum right. What does that look like 20 years after its anticipated 2021 opening? He describes it as bustling, alive, with people of all races and ethnicities; a place to bring his grandchildren one day. But first there’s more money to be raised. Moore says construction costs have risen considerably, requiring an additional $10 million dollars. The original $75 million dollar goal was met last August. He also needs to see an island about some stones. Moore is headed to Sierra Leone after this interview, where he’s traced his ancestors. It will be a kind of homecoming and a chance to make connections with a country closely tied to Charleston through slavery. He's looking to bring back stones from Bunce Island for a memorial for the museum. That’s where thousands lined a jetty before taking their final steps from Africa. 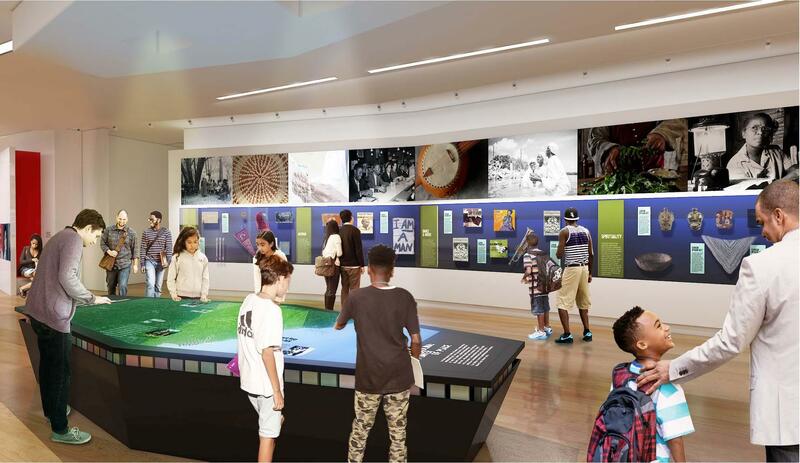 Visitors will literally be able to reach out to the past at the International African American Museum, a touchstone for building stronger relationships through a better understanding. "It will be a very powerful place."